This is a rectangular Dutch Boy Paints porcelain sign. This particular Dutch Boy Paints sign is predominantly white with blue stripes at the bottom. 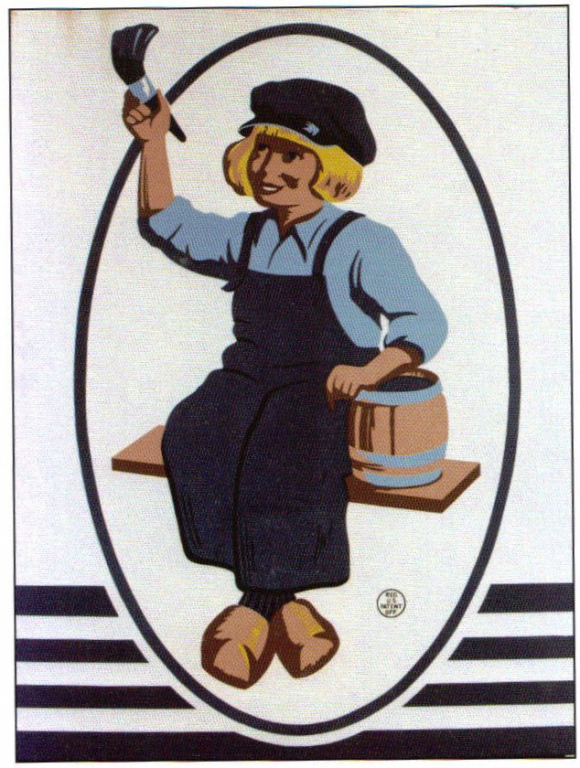 It has no text and features a small boy wearing clogs and holding a paintbrush in the center.